HMC demands that all its employees understand and comply with our values and policies. We therefore expect our people to adopt the HMC way of working, as set out in our Code of Conduct. We conduct our business with fairness, honesty, integrity and respect for the interests of our stakeholders in a wide variety of social, political, and economic environments. Our Code of Conduct encourages our employees to apply our values in their day-to-day business activities and to be aware of their individual impact on the company’s reputation and thus its continued success. After all, we cannot build a reputation on words alone. Our employees are the key to our success and we are therefore committed to attracting, developing, and retaining the best people to ensure the optimal performance of our business. We expect them to do their utmost to create a work environment based on respect and free of harassment, intimidation, bias, or discrimination of any kind. We also expect our people to resist from engaging in any improper or illegal behavior motivated by a personal interest. As part of our Code of Conduct we have instituted a range of Compliance Policies, which help us adhere to standards of loyalty, honesty, integrity, and the avoidance of conflicting interests. The policies are meant to create awareness and understanding about the background and purpose off laws and regulations on a wide variety of topics. HMC is committed to complying with tax laws in a responsible manner and to having open and constructive relationships with tax authorities. Our approach to Tax aligns with our Code of Conduct and sets out what is expected of everyone at HMC with respect to taxation. All third parties with whom HMC has a business relationship (such as customers, suppliers, agents) can ask questions and raise concerns on matters relating to compliance with the law or the HMC Code of Conduct. 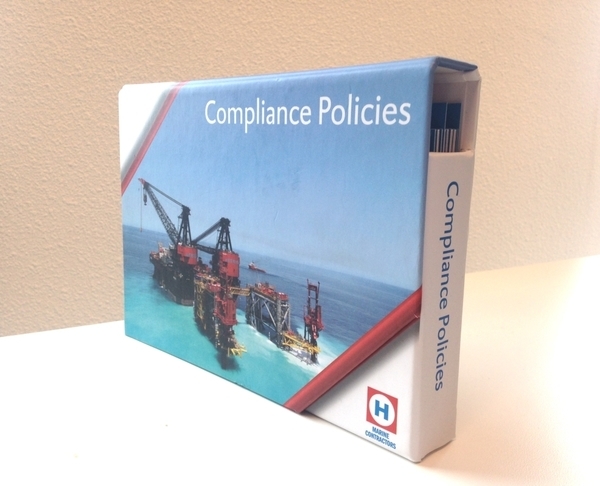 If you observe any wrongdoing or simply want to ask a question related to our Code of Conduct or Compliance Policies, please send an email to EthicsandCompliance@hmc-heerema.com. Your question will be passed to an Ethics & Compliance officer, who will assess it and decide the appropriate action. Your report will be handled in accordance with the HMC Compliance Reporting Policy. For Heerema Marine Contractors sustainability is a business enabler, creating opportunity to facilitate innovation, differentiation, and growth. By being aware of our impact offshore and onshore, we contribute to a more sustainable industry. Adhering to our mission of ‘being and being recognized as the best offshore contractor’ we aim to act sustainably as we believe it is the right thing to do. This involves providing services that create economic, environmental, and social value. By taking the lead towards a more sustainable offshore industry and stimulating internal awareness, we aim to make sustainability an integral part of how we do business, benefiting the company, our clients, and society. Lowering our operational footprint remains a challenge which is addressed by gathering and integrating practical improvement initiatives from individuals active within projects and offshore execution. Recognizing the impact of supply chain involvement we actively engage with peers, suppliers and subcontractors to accelerate towards a sustainable offshore industry. The annual sustainability report covers a number of developments under five main themes, highlighting a selection of the key sustainability initiatives we undertook in 2017 and shares short and mid term objectives. In 2014 Heerema Marine Contractors took the initiative to move the discussion regarding sustainable oceans towards action by launching Our Oceans Challenge. Together with a broad range of partners, this global acceleration program matches urgent environmental and social challenges with the responsible use and exploitation of ocean space and resources. To read more about Our Oceans Challenge please refer to the website.